The five-year-old home, with 4,111 square feet under roof, is of concrete block and steel construction with an insulated metal 'tile-look' roof, exterior artistic stucco wall finish, surrounded by fully tiled 4-foot walkways with ground drains, and a huge covered patio. 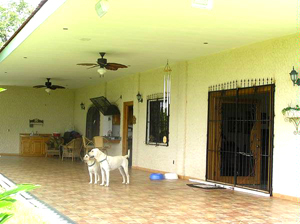 Under the same roof is a separate entry bedroom and bath, garage, 2-car carport, and laundry. The kitchen has lots of custom counters, cabinets, a built-in desk/computer area, and a bar/counter pass-thru to the huge patio, as well as a dishwasher and a garbage disposal. A walk-in pantry adds to the good storage options. The largest bedroom has a bay window and double doors opening to the patio. 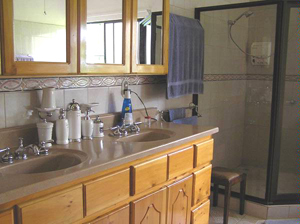 One bathroom has double sinks, cabinets, an over-sized shower, spa tub, and private toilet with room for a bidet. 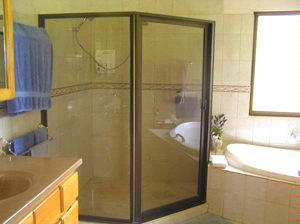 The other bathroom, accessible from the outside and the separate bedroom, has a sink cabinet, raised toilet, and large tiled shower to accommodate wheelchair access. There is 220V electric and propane gas to the kitchen and laundry. There is instant hot water to the whole house; water is from the Santa Rosa aqueduct, the best you can get. There are two in-ground septic tanks and an underground drain for the house's ground drains. 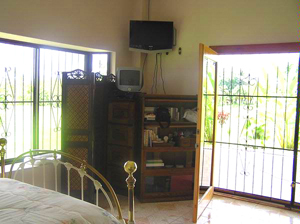 Helping to keep things cool are the many large tinted screened windows, doors, ceiling fans, and high ceilings; but for those gringos that need air conditioning, there are 3 room units installed. Large trees seem to dwarf the 4,100 sq. ft. home. 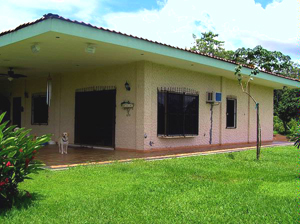 Its huge patio includes ceiling fans even though the climate is temperate in the northern zone between San Carlos and La Fortuna not far from the airfield at El Tanque. 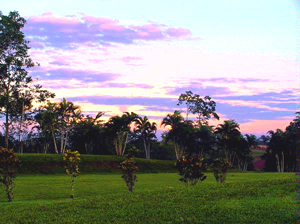 The landscape is rolling hills of grass, tropical gardens, fruit trees, and ornamentals. 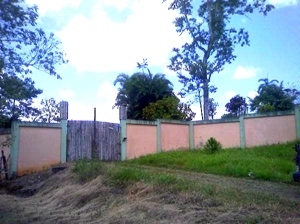 There is a private entrance gate and road, all completely fenced. At the property lines, cattle are grazing on 3 sides and a good paved highway is on the other side. The property was used as a horse ranch and has an arena with special ground for drainage & horses to jump on, as well as the original barn site and other level sites to build on. One can hear the howler monkeys, see and hear tropical birds, iguanas, geckos, and once in a while a sloth. Arenal Volcano can be seen l from the patio. 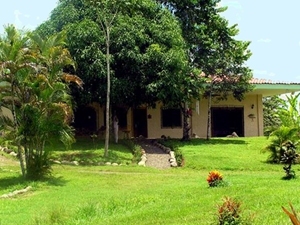 The house location is at the top of the hill with breezes and natural views on all sides. 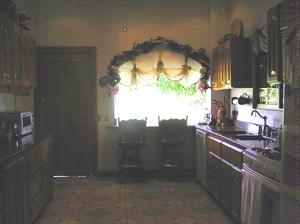 The kitchen has a passthrough to the patio. 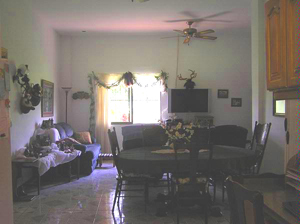 The open-style living and dining areas. The master bathroom has double sinks and an oversize shower. 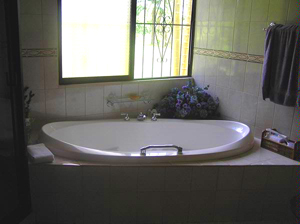 In the master bathroom is a spa tub. The master bedroom has a large bay window. 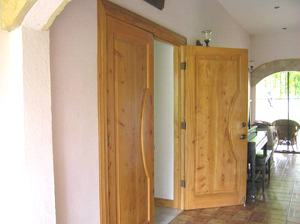 Custom woodwork and arch doorways. 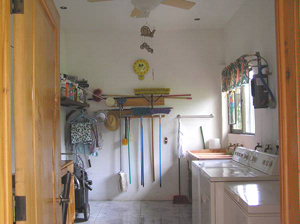 The laundry and storage room. 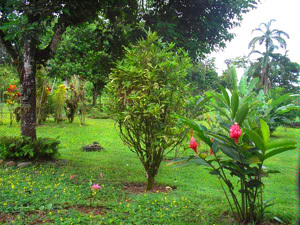 The property is to the northeast of Arenal Volcano and La Fortuna, about 35 minutes from the town. 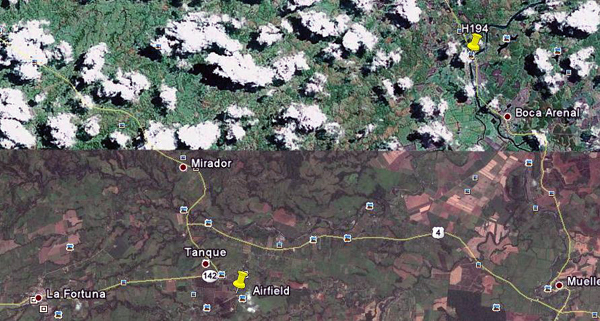 In between is the airfield El Tanque, used by NatureAir and Sansa. H194 is just north of the San Carlos River. 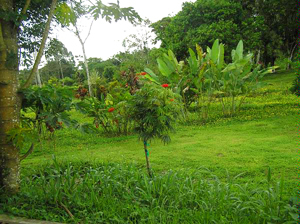 The property is part of an active, rural, agricultural area of small tico communities, pineapple & sugar cane fields, and horse & cattle ranches. There are fiestas and parades, often with a few fireworks you can see from the patio. 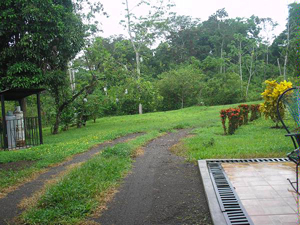 It is quiet & private living with nature, but close to a good highway, with easy access to bus, shopping, medical, schools, and tico style dining.